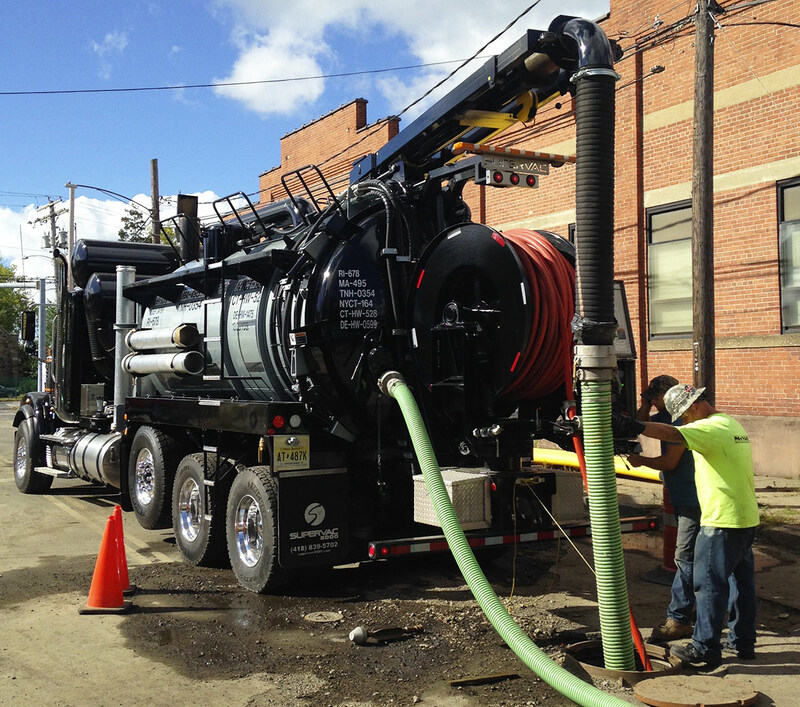 Triton™ filtration is an evolution of our Patented Juggler™, a water recycling system that separates liquid and solid. 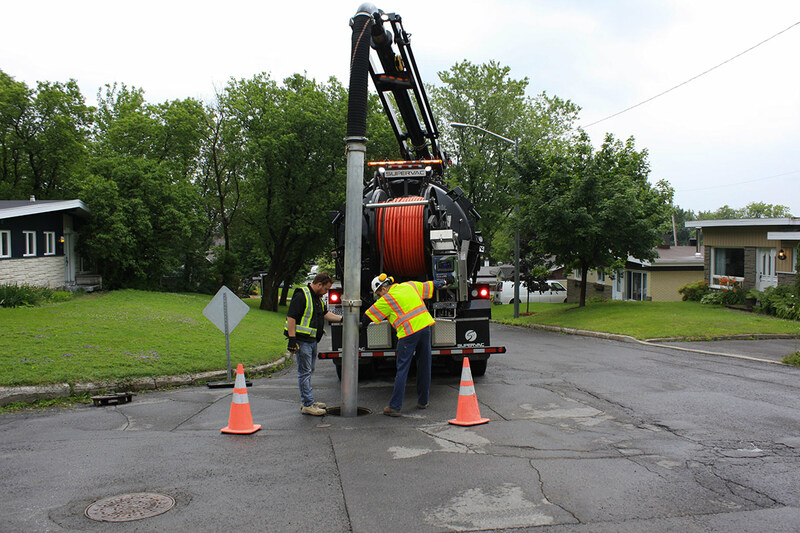 The filtration allows re-use of water sucked in sewer line into jetter water pump. 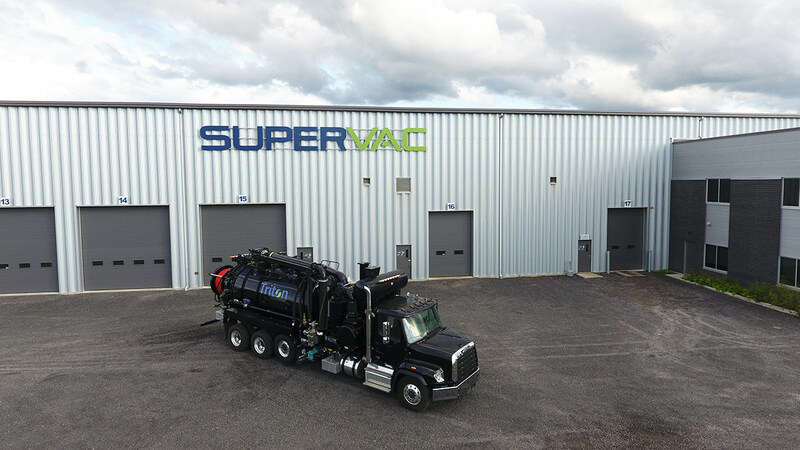 The Triton™ combination sewer cleaner from Supervac has a water recycling system that employs a filter system to allow continuous work without downtime for water filling. It filters water collected in the debris tank and transfers it to a water reservoir used by the Pratissoli water pump. 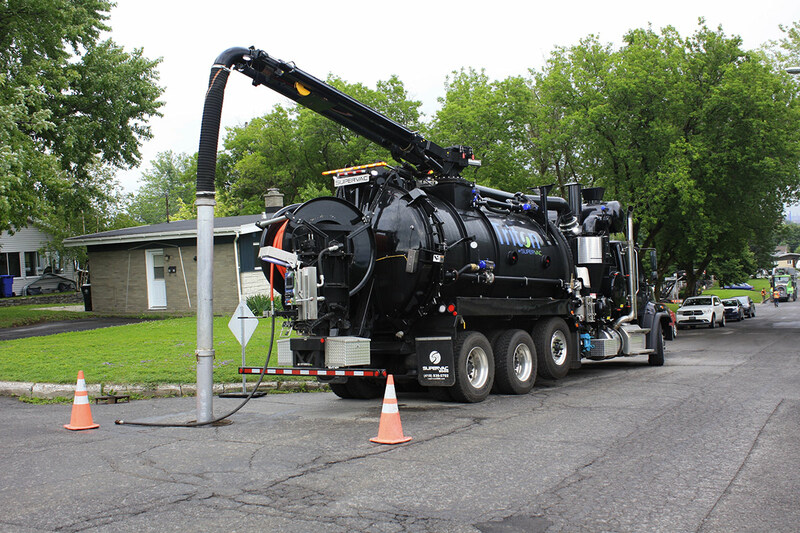 Current technology used in the pipe cleaning business is proven costly to service providers. 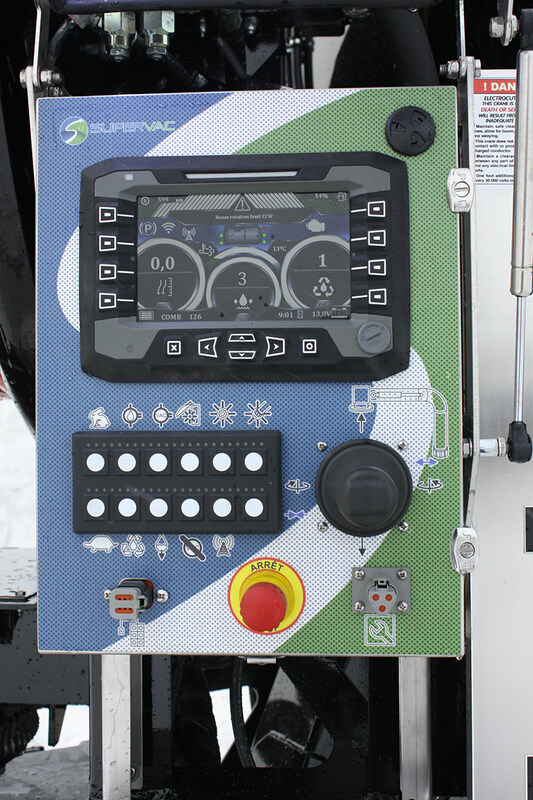 An equipment that stops for water refill every hour can add up to 40% of operational time lost. 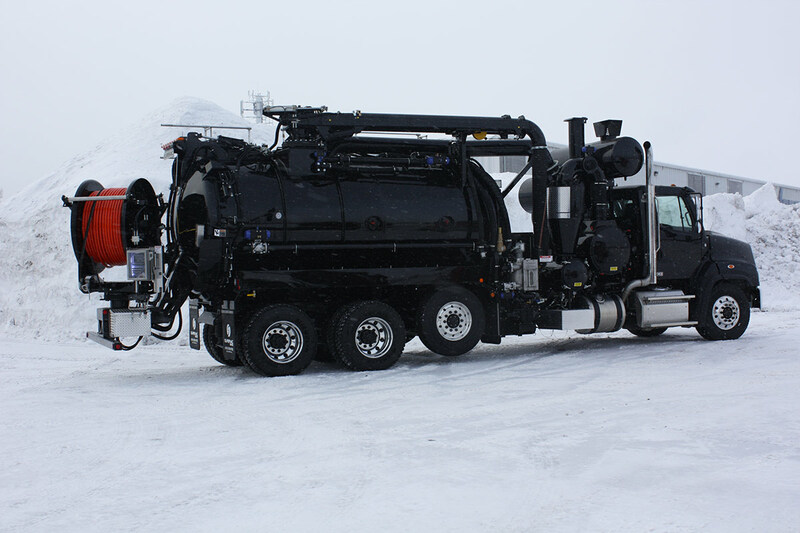 Unfortunately, nearly all companies in Canada and in the United States use this technology. 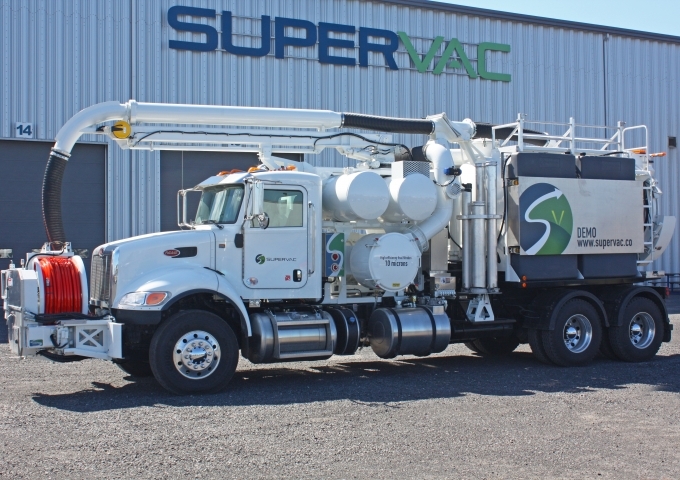 Supervac knows the value-added benefit in reducing costly downtime while helping you complete your project on time and on budget . 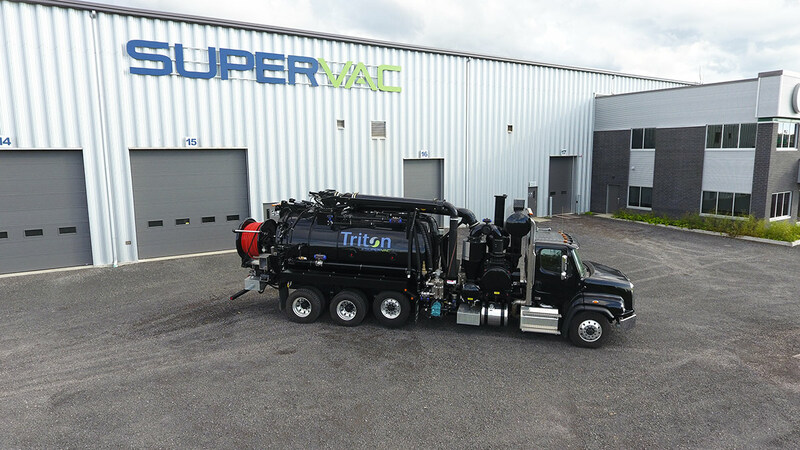 This is why Supervac Invested in Triton technology as part of our diverse vacuum unit range. 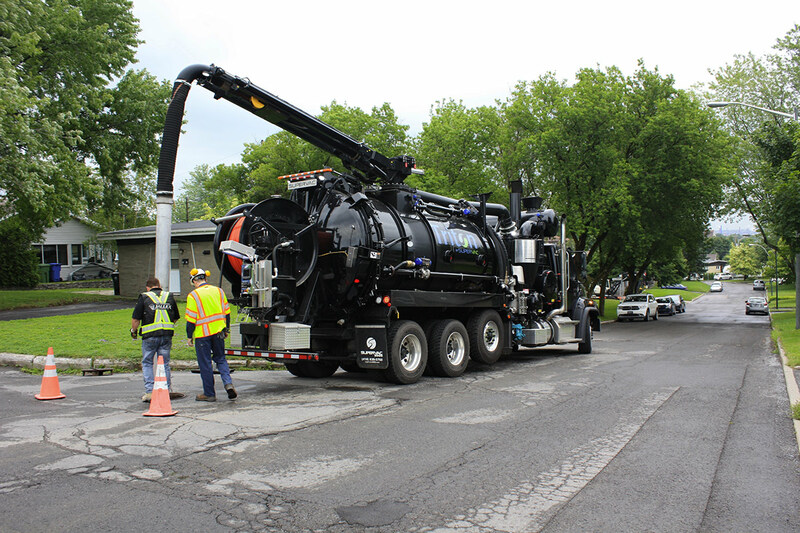 Triton recycling unit holds 2300 gallons of service water which will last for greater than one week without the need to refill. Hose reel, 700′, 11/4′ hose 2500 PSI, hydraulic operation, 180° rotation, hose guide. 6 heavy duty hydraulic door lock. 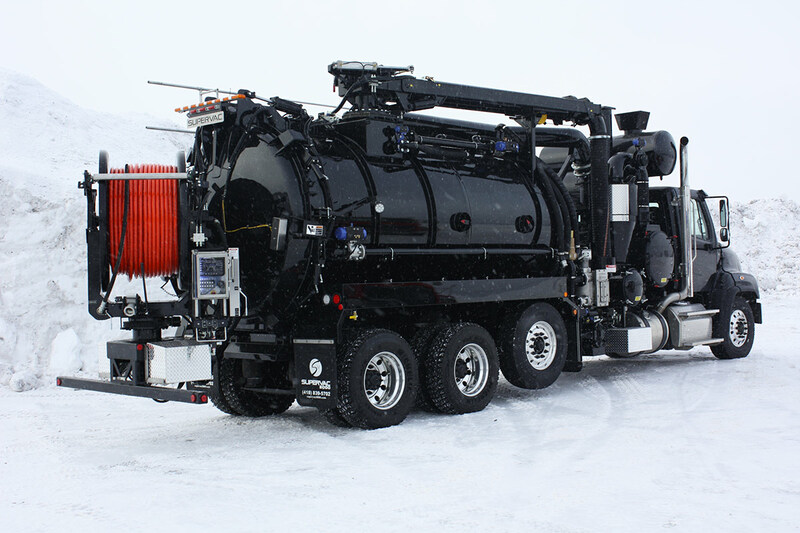 Top opening heavy duty boom box,air actuator vacuum controler. 2300 Gallons (US), carbon steel debris tank. Top loading boom (8″), 220o rotation, 19 feet long (stainless steel/carbon steel). 1500 Gallons (US) carbon steel water tank, epoxy coating. 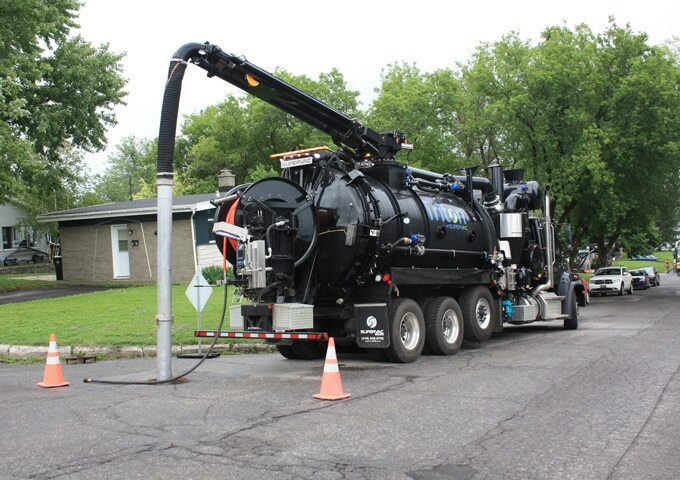 Water tank decant material flush out system. 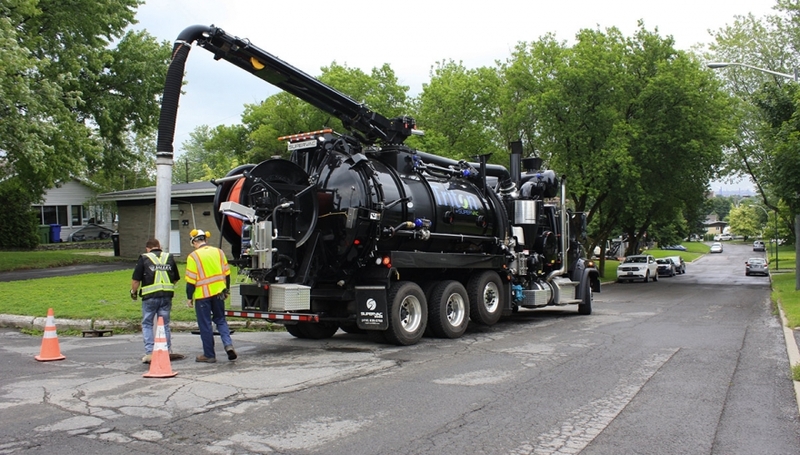 Robuschi RBDV-125 blower, 3800 CFM, 27″ HG. Final filtration washable cartrige, 50 microns. Pratissoli MW50R water pump 80 GPM / 2000 PSI. Drop out box 20″, full opening. Best way to save time, money and water!